WordPress travel themes suited for enthusiasts and professional travel bloggers. I made this list to help you to find the WordPress theme you have always dreamed of. These days, travel is serious business. The spending totals to around $7 trillions for international and domestic leisure travelers, making the travel industry a serious option for those who are interested in earning some money online. In 2015, U.S. Travel Exports totaled $246 billion. International Travel Imports totaled $148 billion, creating a $98 billion travel trade surplus. With that in mind, if you have a travel or tourism related blog, there’s a lot at stake to ensure that your site looks modern and offers a top-notch user experience for potential tourists and travelers who might be visiting your described destination in the near future. The travel WordPress themes below have been designed specifically for travel blogs in mind. Some have specific travel features build in such as maps and geotagging functionality, review/rating systems, photo galleries, integrated Google maps and more. Barletta is free of charge travel WordPress theme with shiny typography, immaculate white space and a lot of modification options. That is an aesthetically charming travel WordPress theme created making use of the current technique in WordPress and Website development. Barletta is wholly willing to be interpreted into your language, translate the incorporated language file with Poedit along with your blog become international. Barletta is dependent on the modern Twitter Bootstrap framework which will be recognized for being reliable and well made which makes it welcoming for developers. This brilliant & free WordPress travel blog theme is fine-tuned for search engines while increasing your odds of getting noticed by Google, Yahoo, Bing. There's also useful video tutorials that will help you to build your blog in minutes. Using WordPress customizer you can customize your website layout, switch to left, right sidebar or full page, in customizer, it is possible to upload your personal logo also. It is our understanding of how a minimalistic lifestyle blog should appear to be. Enjoy blogging, Enjoy Barletta! This theme is catchy, yet visually impressive. Wordpress Travel Theme can be used for travel, lifestyle, adventures or any other creative and dazzling style website. Sanremo has a shimmering and clean design that should provide a timeless foundation for your experiences website. It comes with a beautiful interface, plain typography, galleries, extensive menus, and offers the user a useful site navigation. Create an excellent slider and take your website to the next level. So if you are looking for a light, clean and fresh WordPress travel theme that is anything but uniform, Sanremo could be a good option. INFRA is yet another revolutionary feature packed WordPress travel themes which you might want to use for your travel blog. Every component and module in theme layout is geared towards enhancing the number of page views you will receive. It comes down with a traditionally designed layout which is suited to lifestyle webpage. With a variety of 6 modern looking custom skins you've got many selections in customization and set up any malleable layouts you can easily imagine. The present-day theme design is mobile responsive and contains yet another menu for viewing in mobile landscape mode. Handy and user friendly Mega menu admin panel happens to be included in the theme package in addition to this theme includes a refined and home-grown mega menu to give you an aesthetically appealing navigation area and advanced functionality. It’s filled with extended features you could easily customize following your brand name and identity. 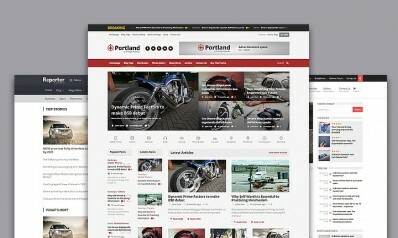 This theme is prepared to handle all kinds of lifestyle or adventures websites. Add links to your social media marketing profiles to relate genuinely to your fans on the preferred social media marketing network. It is filled with an exciting, powerful and simple to use Visual Composer plugin that will help you to build a unique website with drag&drop. Theme is fully appropriate for WPML and is sold with .po & .mo files. Just translate the included language file. When you are looking for a modern WordPress travel themes that are anything but uniform, INFRA could be a great option. Serenti is a striking, impressive and fully responsive travel blog theme built for lifestyle or travel blog. The Serenti theme achieves good search engine positions by following SEO best practice in its site structure. In this theme, you can add an Instagram feed with your excellent photos. The several custom widgets are useful for using social share and follow buttons. The responsive layout helps it be convenient for readers to utilize any device to browse your site. Serenti theme is flexible enough to add any color or background you prefer. Font Awesome gives you scalable vector icons that may instantly be personalized. There are lots of positions to produce the sidebar. Just choose left, right or none to make your website get the best view. The theme can be fully and easily customizable even by beginners. An easy task to install, no issues or bugs were noticed during setup or usability. There’s also a newsletter subscription option to allow you to build a message marketing campaign. In general, the theme has a stunning and superb design. MaterialZine is a sleek and modern WordPress travel blog theme that does a great job displaying rich content while at the same time avoiding the feeling of over-saturation. MaterialZine’s colors are toned down but still delicious, and its style is bold but still leaves room to breathe. The theme creates a truly engaging experience by saturating the screen with your beautiful photos. It also comes with a review system to allow your readers to leave feedback on the content of the site. Thanks to its responsive design, the layout restructures to best suit whatever device it is being viewed on. If you are a travel blogger looking to showcase your traveling experience, or if you are a blogger looking to give your visitors a fun new way to browse your latest posts, then MaterialZine is an excellent choice for you. Don't forget to check out collection with the best and cheap cameras for traveling. Overall, a great design with an easy-to-follow and interactive appearance. The Benavente WordPress travel theme is perfect for a travel, lifestyle or adventures websites. Benavente is entirely responsive for viewing on tablets and all mobile devices. The WordPress travel theme is packed with many useful widgets, and there are "one-click install" feature, that allows you to build your blog within minutes. Just click on button and theme do the rest. After all necessary plugins are installed, you can use powerful Page Builder which is built by Orange Themes team. This merely is a Drag & Drop feature that allows you to create your custom homepage layout. Undoubtedly this is very easy to use. Go anywhere, with gorgeous Benavente. Very clean and lightweight theme with light line accents. If you want for your blog an exquisite design, then Writsy is the right choice. It is equipped with a very pleasant slider, as well as highlighted articles are integrated into the second slider. Each section and widgets are enclosed in boxes. If you want, then you can insert between the article also quotes. It is one of the best themes plus it clearly shows all effort the writer has put in it — a vibrant theme for travel sites or blog, with a superb and eye-catching design. It boils down with an adaptable interface, clear typography, galleries, modern menus, and offers individual helpful site navigation. Look what you ought to get using this stunning theme. It has an elegant header, as well as the posts, show up elegantly via lazy loading. 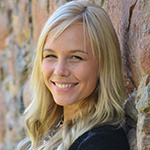 Having been configured to be appropriate for contact form7, the theme might help these potential customers make contact securely and accurately. As a whole, the travel theme has a breathtaking and fantastic look and if you are looking for best laptops for traveling then follow this link. Welcome to the beautiful Inkas. The theme has been precisely designed to let your content stand out on the screen. Every element and module in premium theme design is aimed at increasing the visitors to your beautiful blog. Nowadays everyone is on socials, so there is no problem to add links to your favorite time stealing social media. This theme offers tons of customization options as well as widgets. Smartblog is simple, clean, extensive and genuinely functional WordPress theme suitable for travel blogs. 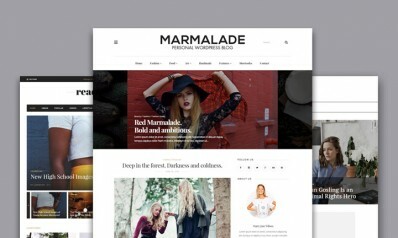 Famous SmartMag magazine theme authors ThemeSphere makes Smartblog and after release theme collected hundreds of sales. This is good and also bad. If sales are good, this means that theme is interesting and attractive for customers, but it's terrible, because you can find the same design to your friend blog. Anyway, if you are looking for clean and merely design for your travel blog, then take a look at Smartblog travel WordPress theme. Try out the Lenscap theme if you’re looking for an option with a very shimmering, attractive and bright theme that seems properly good. Any journey or travel blog can make use of this theme easily. With this specific travel WordPress theme, your homepage will likely be cellular responsive. This travel theme is excellent, though visually remarkable. Changing the colors without the extra effort is possible. This theme is user-friendly and equipped with the most progressive theme features. Every part of the Orchard WordPress traveling theme can easily be customized without any coding information thanks to the WPBakery Visual Composer plug-in which supplies a strong drag and drop interface, and it is packed using a flexible Visual Composer plugin giving you complete control of your page layouts that were exceptional. Overall, the Orchard superior theme is filled with attributes on your next travel website. Are You looking for a beautiful theme for your travel blog and can't decide which chose from our WordPress travel themes? 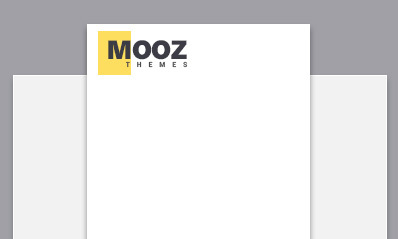 Then take a look to fantastic, visually appealing, fresh & elegant Gommero theme! It comes with a flexible, catchy and innovative design perfect for your travel homepage. The theme can be used for lifestyle, adventures, travel or any other creative and clean style website. It has a simple, classic and professional design, which makes it easier to find the information you need. This travel WordPress theme is easy to use and equipped with the most powerful theme features. Why search further, get it now. Kamion is an elegant WordPress theme that comes with perfect, visually stunning, innovative and mobile responsive design well suited for travel, adventures or lifestyle blog. Kamion design is made with an easy-to-follow and interactive appearance. Create awesome, outstanding, unseen sliders and take your website to the next level. This theme includes a user-friendly, highly customizable, responsive and powerful mega menu. Get versatile Kamion today. This is an ultra modern responsive WordPress theme designed for travel agencies, blogs, and business websites of any kind. Its creative layout is crowned with the extraordinary header, which consists of a logo on the right side, and a slider on the left side. This theme features round CSS-based image previews, integrated Google Maps, and many more. A vertical navbar powers the navigation with an expandable burger menu icon, and a back-to-top button. This theme is fully responsive, as it is built with the latest version of Bootstrap. It is also mobile-friendly, SEO-optimized and well-documented. Totally worth checking out, even if your website is not related to the travel topic. A beautiful and robust WordPress theme for adventures website, which comes with an appealing and exceptional design. TrendyBlog comes with a vintage design and typography by default, yet you may be still able to customize it and then make unique. It is one of the best themes plus it clearly shows all effort the author has placed into it. Create awesome sliders and bring your website to the following level. The number of custom widgets is of help for applying social share and follow buttons. It’s a very flexible theme plus it lets you run a lot of different modern features and functionalities. TrendyBlog theme designers added useful Visual Composer support so that you can build custom travel blog. Try refined and properly crafted TrendyBlog today, and you won’t be sorry. 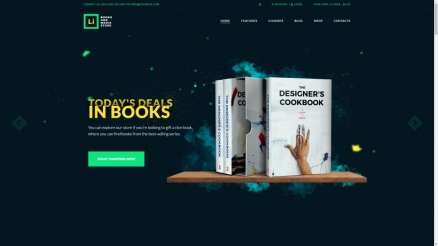 Overall, fantastic design with an easy-to-follow and interactive look. The theme carries a customizable, powerful and user-friendly mega menu builder, which allows someone to create endless mega menus with distinct sub-menus. This theme is compatible with Contact Form 7, the most famous WordPress Contact Form plugin. With leading Events Calendar plugin and all the adaptive, it gives never been simpler to generate the date for the event. The theme may be utilized for any creative and style site, traveling, experiences or lifestyle. It allows one to highlight specific articles from the home page, as well as to improve readability using a versatile usage of photography. With the handy WooCommerce plug-in, a magnificent e-shop could be produced, without the additional expenses. Travelop is a contemporary looking blogging WordPress theme best suitable for travel blogs and magazines. It is fully compatible with the GPL 3.0 license, so you may use it for as many websites as you want, freely modify it, and create derivative works. This theme is equipped with a powerful live customizer, which covers all possible aspect of website customization. With its help, you can change the layout, the color scheme, logos, widgets and style elements of your website in a matter of a mouse click. Travelop comes with many blog layouts, sidebar positions, header, and footer styles, allowing you to build as a simple blog, so a complex content-rich travel magazine. It is one of my favorite themes and it clearly shows all effort the author has put into it. Developers are made this theme ideal for your lifestyle, travel or adventures websites. It has a simple, classic and professional design, which makes it easier to find the information you need. It’s very modern, and it has all the advanced features you need for your website. Create awesome sliders and take your site to the next level. This theme is WPML ready and offers multilingual translation for all its customers. Try UniqMag now, and let the world see what you do. Yet I would like to highlight the Apliqu WordPress theme. It from their tribe brothers is distinguished by a peculiar design and very easy navigation. Every component and module in theme layout is geared towards improving the actual quantity of page views that you'll receive. The theme can be used for adventures, travel, lifestyle or other inspiring and clean style blog. Theme responsive design is improved for all your most widely used screen resolutions. This theme is full of widgets, and interactive buttons, like every adventures site, must undoubtedly be due to the Mega Drop Down Menus such as post and links. Your gorgeous webpage visitors can go where they want easily and quickly which improves your brand. The shortcodes supply properly refined buttons, polished infoboxes, along with other helpful elements, all of which might be created without touching a person type of code the theme has a built-in functional Events Calendar that keeps all your website updated and your upcoming happenings and activities. Try Himmelen now, and allow the world to see what you will do. 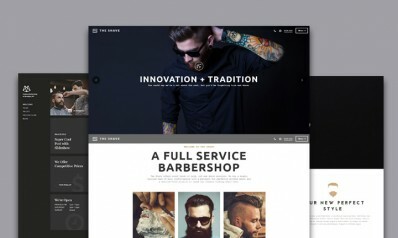 This premium theme is milled, yet successfully significant. This WordPress theme is specifically created for travel or adventures blog. This has a simple, classic and professional design, rendering it better to get the important information. It’s very modern and has now all handy features you want for your website. Every element has its specific shortcode, as customers can implement it on any page furthermore this premium theme has drag and drop builder to produce an awesome webpage for your requirements. It’s a Adaptation theme that puts the focus right where it belongs: in your words. Read and Digest is another strong feature packed premium theme that you might want to use for the adventures site. This WordPress theme brings more visitors and will raise your webpage. This theme is cellular friendly, regardless of what device your customer has, he can get the capability to use of your website and six homepage layouts are producing the theme super easy to suit to discover the very best outlook towards the audiences. You're able to find the top fashion that can bring readerships. Add hyperlinks to your social media marketing profiles on Facebook, Instagram, and Twitter web pages to construct your following faster. Every section of the Read and Digest WordPress theme could easily be customized with no coding knowledge on account of the WPBakery Visual Composer plugin which provides a versatile drag-and-drop interface. The Digest and Read theme is great for a traveling lifestyle or ventures sites. The Read and Digest offer lots of favorite features to provide your business name in the way that is most effective. Simple, adaptable and accessible, Contact Form 7 plugin allows you to customize form fields, look, and mail contents. You can create multiple contact types and add them on a post or any page and also this theme is compatible with Contact Form 7, the most well-known WordPress contact page plugin. Read and Digest - every bit counts that are tiny. Aden is a elegant, minimalistic and polished WordPress travel theme which is mainly designed for travel, lifestyle and other publishers. Boho built to function as both a lifestyle and travel blog theme. Boho has a super flexible and modern form generator plugin "contact form 7" that allows you to build user-friendly and intuitive contact forms. Boho is the right choice for adventures, lifestyle, travelers blog who want a beautiful, creative, modern and visual appealing site. Firenze is a beautiful, clean, light, elegant and catchy WordPress theme which is suitable for travel bloggers to write about their travel adventures. Firenze travel theme is entirely responsive, fully compatible with the WPML plugin, making it possible to switch between multiple languages on your site. Firenze blog WordPress theme is SEO and speed optimized, eager to serve your website and with extensive text and video documentation, you’re ready to go in no time at all. The perfect choice for travel bloggers who want an elegant site. XO is a beautiful WordPress theme which is mainly designed for bloggers, travel bloggers, and other creatives. XO theme is retina ready, easy to set up and customize and built on HTML5, CSS3, Bootstrap, and jQuery web development technologies. There are many demo layouts in this theme zip file, which you can use as a design for your travel blog. XO theme is with optimized code for both speed and search engines and with the extensive text you’re ready to go in no time at all. Choose style, choose XO! This theme will boost your website and attract more visitors. This WordPress theme is exclusively designed for adventures or travel blog. Artmag works perfectly on any size screen devices helping, your clients to quickly view your internet site using tablets, smartphones or desktop computers. This theme offers numerous widgets which allows you to create a fashionable and gorgeous blog site. Add links to your social media profiles on Facebook, Instagram, and Twitter pages to build your following faster. What’s more, Artmag comes with 600+ Google fonts overall, simple yet effective. Blogon is a beautiful, clean and light travel WordPress theme to show your travel adventures beautifully and cleanly. Blogon WordPress travel theme is fully responsive design and is search engine and speed optimized, eager to serve your website and with detailed documentation ensures that your site will be up and running soon after purchasing the theme. With this polished theme you have countless ways to create a good website. Pick has a clean and shimmering design that should provide a timeless foundation for your adventures site. You’ll also have access to the flexible Visual Composer page builder plugin to help you customize your website and build it from scratch. Theme with a perfect SEO friendly code, high Google rankings guaranteed and try just once, you’re going to love it. This theme is polished, yet visually impressive. If you are looking for a perfectly designed, highly flexible and utterly responsive WordPress theme for your lifestyle homepage, then CheerUp is an ideal choice for you. Building your magnificent WordPress theme will be a joy, why search further, get it now. Beautiful, clean and light theme to show your posts in a modern way. BONE WordPress theme is, retina ready, highly customizable and easy to use. It comes with current menus and another flare that should appeal to your visitors. BONE theme is search engine optimized and ready to handle any website type and with extensive documentation is enough to turn a beginner into an expert in just a few hours. Verse is a minimalistic, clean design, modern WordPress theme and it is a good option for lifestyle, travel and other publishers. This premium travel theme is visually impressive. It’s very flexible, and it has all the modern features you will need for the website. Verse WordPress theme is ultra responsive, and your online page will conform to displays on various types of devices. Besides, it features custom widgets that allow you to incorporate useful elements in your internet site. You will find a bunch of pre-designed homepage styles and four different demo layouts you should use. The verse is full of extensive text and video documentation you’re all set to go in no time after all. The right choice for travel bloggers who want on a clean design web site. Nord is a straightforward, clean design, minimalist, light responsive travel blog theme with clear typography, abundant white space and a significant number of features. One of Nord’s most important traits is that WordPress theme has an extensive volume of features. Nord WordPress theme is somewhat mindful of all devices, retina ready, include customization features to improve the look of your internet site. Nord blog theme has been optimized code both for speed and search engines relative to documentation file you can create your blog fast and simply. Nord stylish design focuses on your articles, and it is ideal for a versatile travel site. Overall, excellent design with an easy-to-follow and interactive appearance. This travel WordPress theme is manufactured not just for travel or lifestyle blog, but you can use it within any niche you want. It comes down with a classically designed layout which is often well suited for a blog website. On top of that, the theme comes with a widgetized sidebar and footer, making it possible for a lot more space for widgets. With over 600 fonts from the Google library together with the default system fonts, you can choose things you need and employ it for which you want on the site take your adventures blog to another level, with Natura.